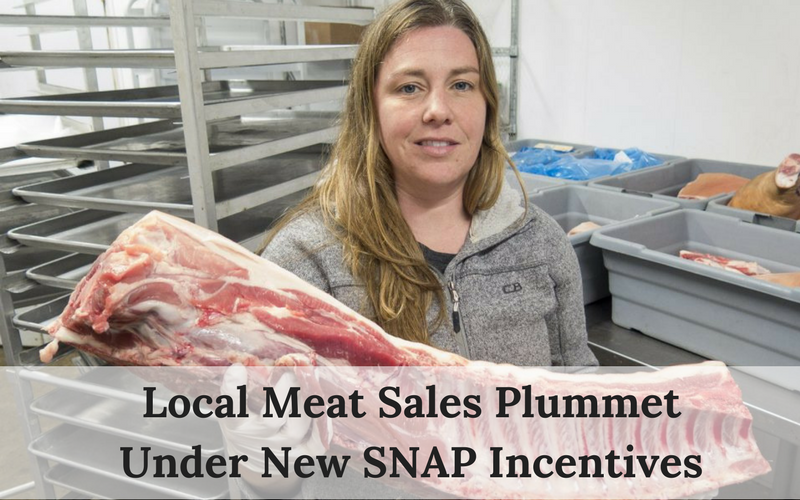 Recently, my friend Kate Stillman (pictured above) pinged me about how her local meat sales have dropped by 75% at farmer’s markets this past summer. The cause? A new program intended to increase local fruit and vegetable consumption. This summer, the state of Massachusetts introduced a new benefit to those enrolled in SNAP (Supplemental Nutrition Assistance Program) a.k.a. “Food Stamps”. In addition to being able to use their SNAP benefits at farmer’s markets, farm stands and CSA farms, a new program called “HIP” (Healthy Incentives Program) allows participants to earn up to $40 (1-2 people), $60 (3-5 people), or $80 (6 or more people) for eligible fruits and vegetables. What’s Wrong with Promoting More Fruit & Vegetable Consumption? That’s Good, Right? The program was hugely popular. Customers flooded the markets and were able to use the additional money to purchase fresh fruits and vegetables, seeds, plants for their garden, dried beans, nuts, fresh herbs, applesauce and sauerkraut. What can’t they buy at markets? Some of the excluded items include condiments, olives, sauces, ornamental vegetables and… local meat, poultry, fish and eggs. The program was so popular that in fact, that regular customers stopped coming. The lines were just too long. And while produce farmers made out great, local meat producers were left in the dust. Not only did they not benefit from the HIP program, but because their regular customers stopped coming, they lost major sales. Kate told me that her sales at the Copley Farmer’s Market dropped by 75%. Kate details her experience in my podcast, listen here. And while I’m all for giving incentives to folks to increase local food “healthy” food, why limit it to local produce? Is a bag of organic baby lettuce mix, an organic heirloom tomato, or an expensive quart of locally produced raspberries “better” than a pound of grass-fed ground beef? Lettuce, with the nutritional value of a Kleenex, is certainly NOT more nutritious than a steak. If the goal of this new incentive program is to feed those who are food insecure with “healthy” local food, shouldn’t we consider how to deliver the most nutrient-dense food for the buck? Certainly local eggs, meat, poultry and dairy products do this very efficiently. Why do we continue to see meat as a “luxury” item while local organic raspberries and heirloom tomatoes are not? Why are benefits for meat products limited to industrially produced, CAFO (confined animal feeding operation) meats? 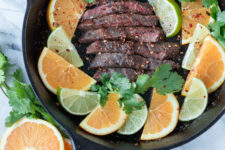 From a nutritional standpoint, red meat is our best source of iron, the number one nutrient deficiency worldwide, especially prevalent in women and young children. It’s also incredibly efficient, calorically speaking, at delivering protein and nutrients compared to plant-based proteins. Saturated fat is no longer a “nutrient of concern” and most people agree that a low-fat diet is no longer the best advice. It’s not 1990 anymore. Environmentally, the New England landscape does a very good job at producing pasture, ideal for ruminants like cattle. Protein farmers are a vital part of the agricultural community and should be celebrated. It’s time to end the halo over produce and the vilification of meat. Both are important for human health. If we want to support local farmers and feed people, local meat, poultry, eggs, dairy and seafood should be part of the HIP benefits. What can be done? If you’re a Massachusetts resident, please CALL (don’t just email) your congressperson. Kate has seen good results from Senator Anne M. Gobi and Jim McGovern. Kate and I will be co-speaking at the The Vermont Grazing and Livestock Conference in January 2018. 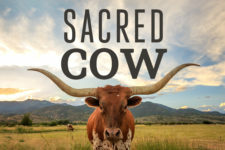 And if you’d like to help me end the vilification of meat, check out my new film project, defending the nutritional, environmental and ethical case for meat. If we continue to only see fruits and vegetables as “healthy,” we will lose more meat producers who are doing important work. I really appreciate your blog and podcast. I’m a bit surprised by this one, though., as I have not experienced this phenomena at all. I raise and sell grassfed and pasture-raised meat in Central WI. We do not have a large population, nor a do we have many white collar salary workers. While local our economy is in good shape, the main jobs are lower-paying, non-union, blue collar manufacturing jobs. Typical family incomes are below average for the U.S. as a whole. Admittedly, we have seen a decrease in sales from those using SNAP, but our sales overall have increased every year in the past few years. Not by a lot, though. While demand for grassfed meats is growing, the supply is growing faster with big meat companies getting in the game. I think that may explain the loss in sales that you write about. Every grocery and super store now has “fresh” grassfed meat, and green-washed pork and chicken products available. We have had to be much more aggressive with marketing and ensure that we are always selling a top-notch product. It is no longer good enough to be just grassfed and local. This specifically is the HIP program in Massachusetts – an extra incentive only good for local produce and NOT meat. Kate has seen a dramatic sales decrease this year only from the long lines preventing her regulars from wanting to attend the markets. While this is only in Mass. right now, I am concerned it may become so ‘successful’ that other states may do the same. Nothing wrong with doing this with healthy food, but it needs to be done for all healthy food. I do need to evoke some reaction to grab attention. Before the film is complete, we will do some A/B testing on titles to make sure we’re hitting it on the mark.